She will be hopping for joy this Easter with your Personalized Bunny Ears Pink Easter Bunny. 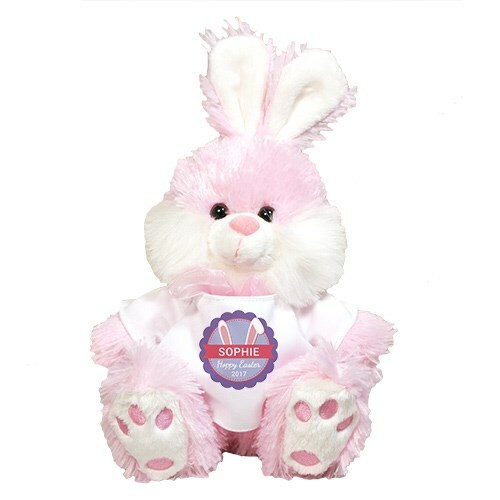 This pink bunny makes a great gift for Easter! Free gift wrapping and a free message card is included. Additional Details Shop 800Bear.com for all of your fun Easter Plush Animal Gift Ideas. Any stuffed animal or Easter Bunny that you choose will become an instant favorite and will be a wonderful keepsake enjoyed well after the spring holiday is over.